We have an array of solutions for all your booth and banner needs. THE NEXT SEG POP UP! Combining the ease of a pop-up frame with the clean finished look of silicone edge graphics! Click here for a setup demo! Explore portable display solutions by visiting our Product Search. To promote your message in an in-line 10’ x 10’ or 10’ x 20’ booth space, consider an easy to setup pop-up display. 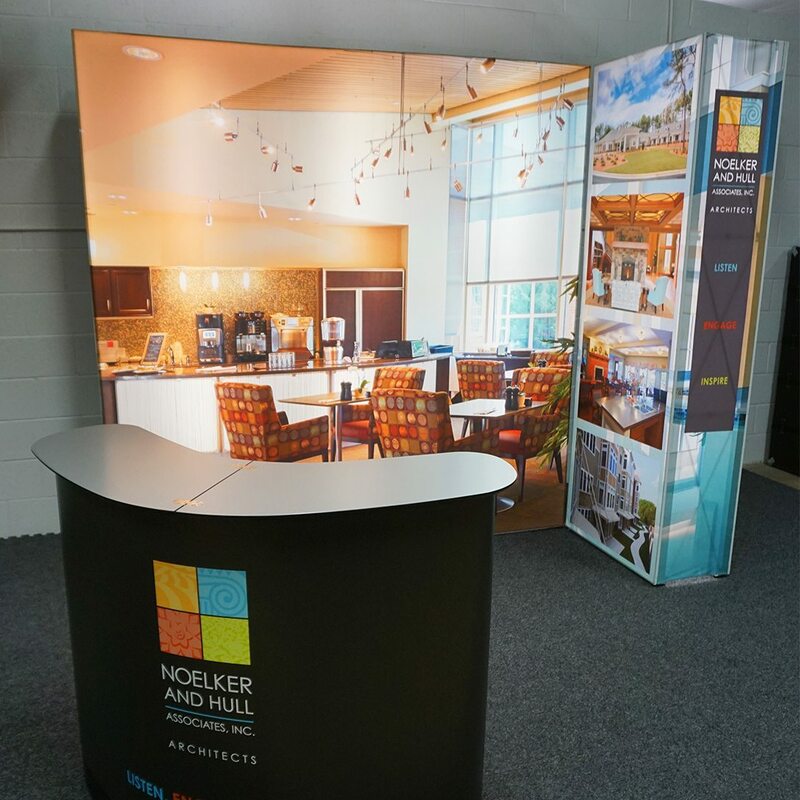 These portable displays are perfect for regional events as well as media backdrops, and are often made of fabric for lightweight setup in less than 5 minutes! Running tight on space & budget? 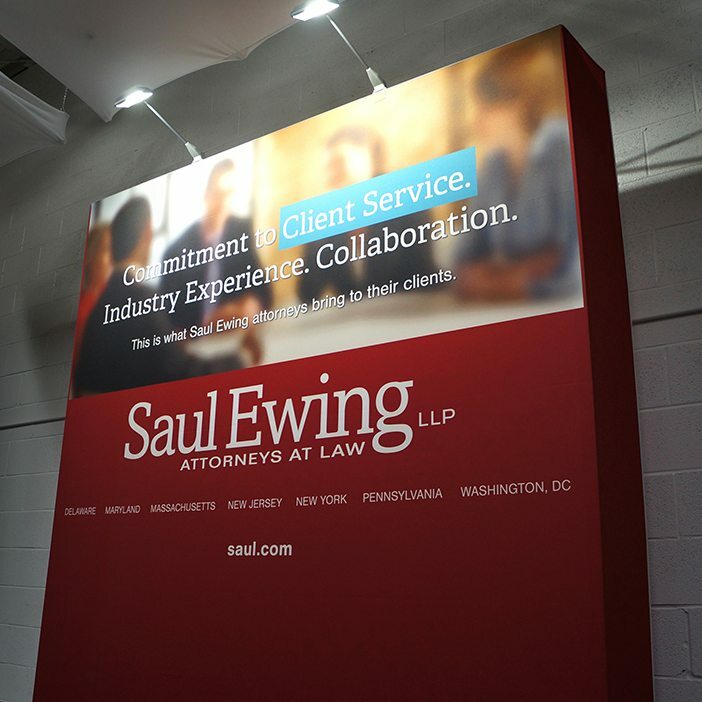 Banner Stands are a wonderful and portable, lightweight exhibit tool for organizations to showcase themselves. 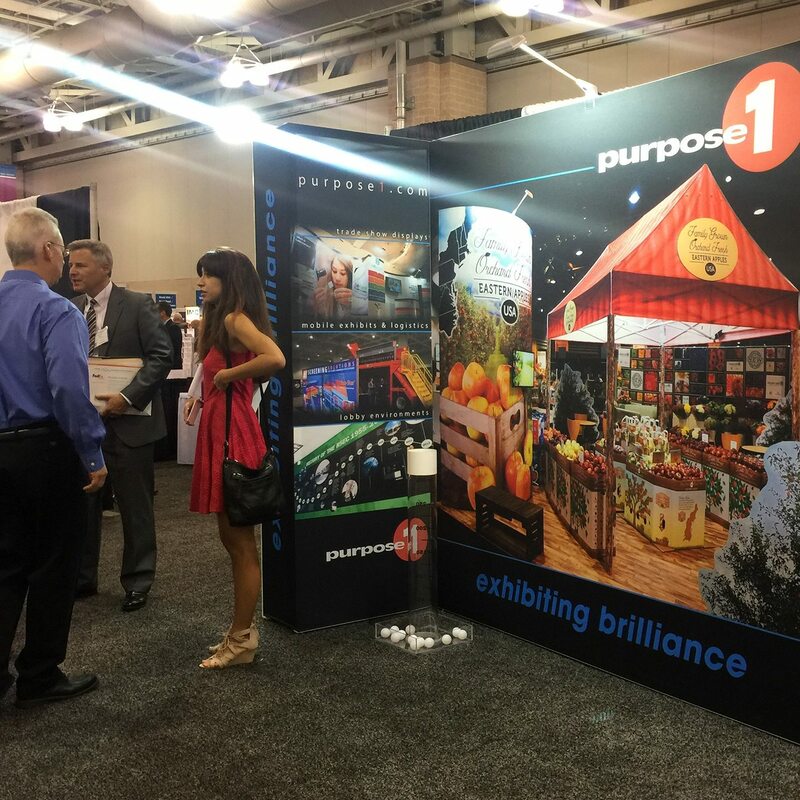 Purpose1 offers Banner Stands in a variety of sizes and models, perfect for situations where a series of small format, high frequency events are part of your marketing plan. The LinkWall System is possibly our most sought after display back drop! This highly-flexible, reusable wall is a perfect display for different occasions and locations. The LinkWall display can be configured to be larger or smaller and can be curved into various shapes depending on the event space and design. Looking for a display that fits nicely on a variety of table sizes, allowing room for all the other promotional items you plan to display? Table top displays can range in size from units that pack down into a briefcase, to over 5’ square of image area allowing for a large impact in a small space. We offer imprinted wrinkle-resistant table throws & runners to compliment your display. Let Purpose1 assist you in planning your next outdoor event display! We offer pop-up tents featuring full color branding, along with flags & banners in a variety of sizes – all designed to keep you feeling ‘cool’, while looking ‘hot’ at you next outdoor event venue. Learn more on how we have partnered with Crump Life Insurance Services for fulfillment, storage and maintenance of their display & event material, and how Purpose1 can do the same for your company. Get more information and even schedule a visit.